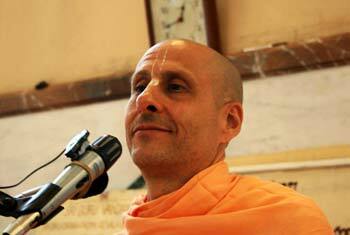 Question to Radhanath Swami: Before coming to Bhakti we were conditioned to many materialistic selfish activities. These conditionings turn out to be the biggest obstacles on the path of Bhakti Yoga. That particular selfish activity to which we are addicted attracts our attention and ultimately destroys our spiritual life. How do we resist the force of these conditionings and safeguard ourselves from going astray? 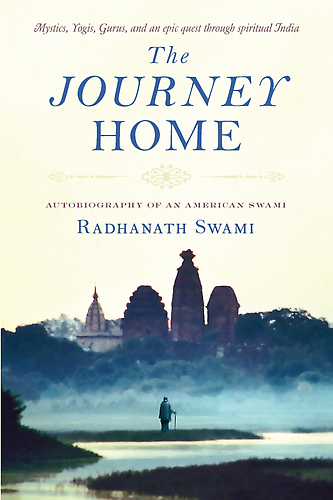 Answer by Radhanath Swami: Since time immemorial we have conditioned ourselves to certain misconceptions. The Srimad Bhagavatam teaches that the origin of all misconceptions is janasya mohoyam aham mameti. We are thinking, “I am this body and all things in relationship with this body are mine.” But actually, I am the spirit soul and what is really mine, is the opportunity to serve and to love. That is the constitutional nature of the soul, but when we fall into this misconception, we act to serve our ego than to serve God. Whatever we then do has a karmic reaction. Karma is both gross and subtle. Everything we do or say, not only will incriminate us in physical, mental and emotional reaction, but also conditions our consciousness to be more and more attached in a way that develop a deeper proclivity or inclination to that type of thought or activity. Thus, we are the conglomerated sum total of all the conditionings that we have put upon ourselves through this life and through many countless lives. Even when we take to a path of pure spiritual life and thus have noble aspirations, our conditionings are still lurking within our mind ready to haunt us like ghosts. The mind is filled with the sum total of impressions, attachments and desires from all our previous lives and we are able to see only a few desires that come up at a time. Just like there may be countless fish in the ocean but we only see a few jumping up every now and then, there are millions of desires and attachments in the mind and every now and then a few come to the surface. The solution is to recondition ourselves. We have cultivated selfishness and all sorts of desires for acquisition and enjoyment. The process of sanatan dharma is to recondition our mind, senses and lives through purity, humility and selfless service. When we engage in devotional service to God, the power of God’s mercy upon us is so great, that in a relatively short period of time it purifies us of all the conditionings. Therefore Lord Caitanya prayed, cheto darpan marjanam bhava maha devagni nirvapanam: the pure water that falls from the sky turns muddy on falling to the ground but comes back to its natural state on being filtered. Similarly, when we filter our consciousness of the conditioned attachments and desires, it comes back to its natural constitution. The simplest most effective way of purifying the mind is by fixing our consciousness on God. In the age of Kali the most highly recommended process of bringing the consciousness back to its pure natural state is remembering the Supreme by chanting His holy names. Two things are required to filter the mind – one is filtration and the other is to stop poring junk in it. In spite of having the best filter, the water can never be purified if we keep throwing pollutants and mud in it. The great acharyas have taught us regulative principles and we must follow them very strictly. Violating these regulative principles simply pours more and more dirt in our mind and we get addicted to the materialistic concept of life. If we want to give up something negative we have replace it with a positive alternative. It is very difficult for one to stop something one is habituated to for a long time. But it becomes relatively easy if we engage our mind, senses and life’s energy in something positive. It is said that an idle mind is a devil’s workshop. We want to eliminate the negative through the process of replacing it with positive. Simply negation of these desires will not do since the soul is pleasure seeking. Therefore Lord Krishna did not tell Arjuna to go to the forest and do nothing, say nothing and speak nothing, but (he told him) to act with mobility, integrity and devotion to Him.